Knowing one’s peak athletic performance in a specific context—race sports, for this writing—will help one evaluate training plans and set doable goals, and likely minimize frustration resulting from aiming for the impossible. That is, if only we knew what “100%” is made up of. But after you read this, you’ll rethink saving the best for last and just give your best. 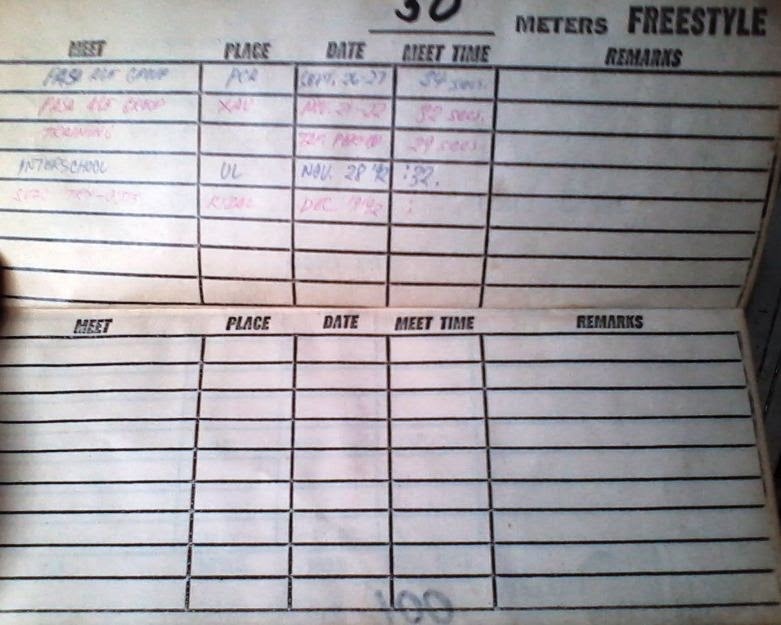 My coach's enduring legacy: the Competitive Swimmer's Log Book Of Swimming Meet Times (issued 1992). You won't find this anywhere. The Navy SEAL Physical Fitness Guide was bought from Fully Booked some years ago. 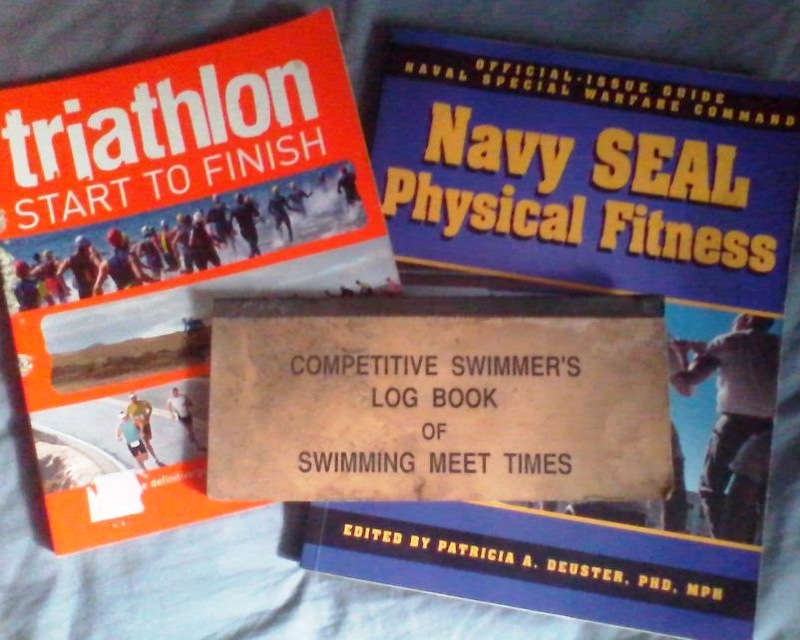 Triathlon: Start To Finish (a publisher's sample copy) was salvaged from Don Bosco Technical College's library clean-up. Before all my MultiSport Camps at BGC, charity runs, books and internet resources, there was my swimming coach back in 1992. His name is Joey Andaya. It’s been almost 22 years since, but he still coaches his namesake team, and still produces champions. His style: strict, meticulous and methodical, yet he makes it sound so simple. Coach Joey, as we all called him, introduced us to the dynamics of swimming. Dynamics is the branch of mechanics (which is a branch of physics) that deals with the study of bodies in motion. And for the first time in my amateur swimming, a coach taught us swimming science that will keep us from cheating him and ourselves during work-outs, all without being dependent on technology available only to athletes who train in developed countries (or athletes who go to such countries and buy those stuffs). Inside the log book. There are two major sections: Short Course (white pages) and Long Course (pink pages). 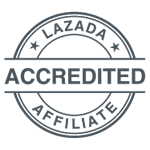 It can accommodate all standard events known to the Philippine Amateur Swimming Association (PASA) and the Federation Internationale de Natation (FINA). Divide your blank notebook according to event. Below is a list of known standard events in national age group swimming and running (not comprehensive, but most of us aren’t either). You may want to leave some pages for cycling, rowing and other races. 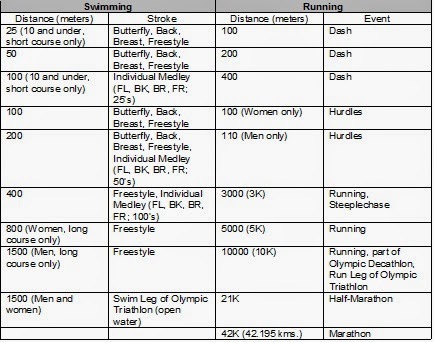 A not-so-comprehensive list of swimming and running distances. Lay out tables in your notebook in the format that looks like my swimmer’s log book. Now we have a place for all your best times. 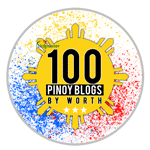 For the succeeding parts, it would be good to go paperless since everything can be stored in the clouds (-computing) thereby reducing deforestation resulting from excessive demand for tree pulp. During my heyday in the sport, carrying an envelope of pens and notebooks was lighter than a laptop. Now, one tablet is way lighter and more versatile than pens and notebooks. Here is where the meat of a training plan begins. After filling up your log of best race times, take one of them to process for velocity (speed, if you will). Plain high school physics teaches us velocity (v) = distance (s) / time (t). But to keep the units standard—and our usual times are made of up minutes and seconds—we must multiply time in minutes with 60, and add the product to the time in seconds to get total time in seconds. We can now have velocities in meters per second (m/s). Your best, or peak, velocity will be the basis for determining fractions of your best. Velocities worksheet. This contains the formulas and cell references that convert minute-second times to purely seconds, as well compute for velocity. Peak velocity is the key to answering the question “What is 75% of my 200m Freestyle best time of 3:37.60?”, and others like it below—and above (overload)—your peak. I have converted my three minutes into 180 seconds and added it with my 37.60 seconds to get 217.60 seconds. That result becomes the divisor with which to divide the distance of 200 meters with. Now I know I swam at the speed of 0.9191 m/s. That peak velocity was multiplied by 0.65 (65%; very easy), all the way to 1.0125 (101.25%) that shows the breaking of limits (or your target time for the said race). Now let’s target, say, your best plus a teensy 1.25% improvement. Why only that much? The longer you go, the longer even a fraction of a percent takes you. The speed of 0.9306 m/s is you at your target. We already have the same distance in meters, so all we need is to know the time in minutes and seconds. The Paces worksheet. This returns the zone velocities, zone times in minutes and seconds and zone heart rate. In another sheet, use the cell references of distance and zone velocities (color-coded columns). You will use two key functions here: INT() to get integer minutes, and MOD() to get a decimal remainder seconds. To get zone time (seconds), divide distance with zone velocity: zone time (t) = distance (s) / zone velocity (v). One column (Tmin) divides zone time over 60 and rounds it off to the nearest integer. The adjacent column (Tsec) divides zone time over 60 and obtains the remainder (also known as modulus). Should your coach—or yourself—order you to swim the 200m Freestyle at 95% of your best, this little spreadsheet solution will precisely tell you to try and achieve 3:49.05. But speed (as evidenced by time) is only one-half of the effort equation here: the other is heart rate (HR; beats per minute). According to the Navy SEAL Physical Fitness Guide (edited by Patricia Deuster for the US Navy), maximal heart rate for an individual is approximately 220 less that person’s age (Maximal HR = 220 – your age). If you happen to be using one of those heart rate monitors (or taking your pulse in 15 seconds and multiplying it by 4), you might wonder why you keep on breaching your maximal HR. Treat your maximal HR as "average high" (it is possible to peak over your maximal). When you reach that point in your training when 95%-or-better time is achieved by a heart rate that is less than 95% of your maximal, aim for a time within the overload zone. Eighteen years later after a life-changing change in coaches, I became a swimming coach too. By then, Microsoft Excel was already in its 2007 (but I was still using a 2003), and laptops had shrunk to netbooks (which I often took with me when I was coaching). Paper was exchanged for electronics but the physics is still the same. 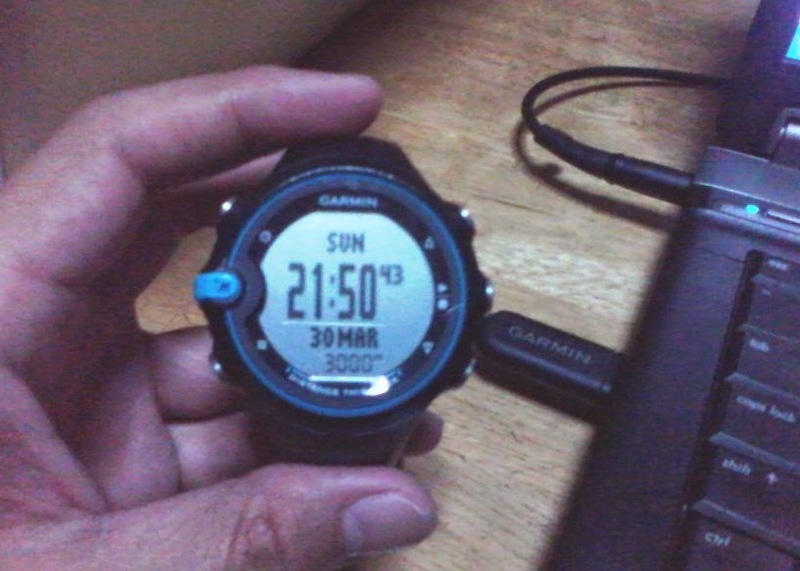 And I use it to this day, to calculate what my Garmin Swim stroke-counting watch could not. My "Omnitrix" of sorts, with total distance/work load of 3000 meters about to get sent to the laptop via Bluetooth. The Garmin Swim watch has GPS that detects distances and the number of times you go back-and-forth (laps) on a straight line. Its accelerometer detects your stroke type (butterfly, back, breast, free and mixed) and the number of strokes completed per length of the pool. With it—plus its Bluetooth dongle and a Garmin Connect account—the whole system gives you instant sports performance intelligence down to the level of calories burned in your swim. My Garmin Connect account. 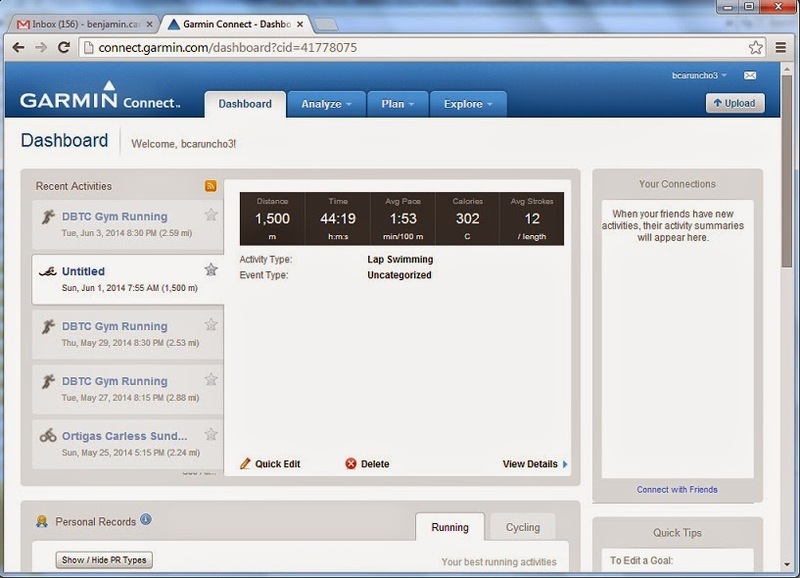 Manual data entry allows records for running, cycling and other sports. My watch is nothing out of the water, though (other than being a watch). But even without any Garmin devices at present, you can create a Garmin Connect account to manually upload your sports data, which is where my do-it-yourself performance spreadsheet comes in. 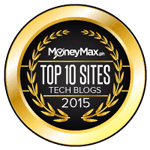 Other helpful sports monitoring applications include Strava and Endomondo, the choices of which could be influenced by your mobile device and current telecommunications provider. As a swimming coach and as a college instructor, getting young people—or anybody—to evaluate one’s self is far better than always having to breathe on their necks. And nothing motivates more than to give people the gauges with which to see the fruits of their work-outs and the ability to realistically visualize who they can be. After all, a driver doesn’t become a better one without looking at his dashboard (which is no wonder our jeepney drivers aren’t getting any better on the road).